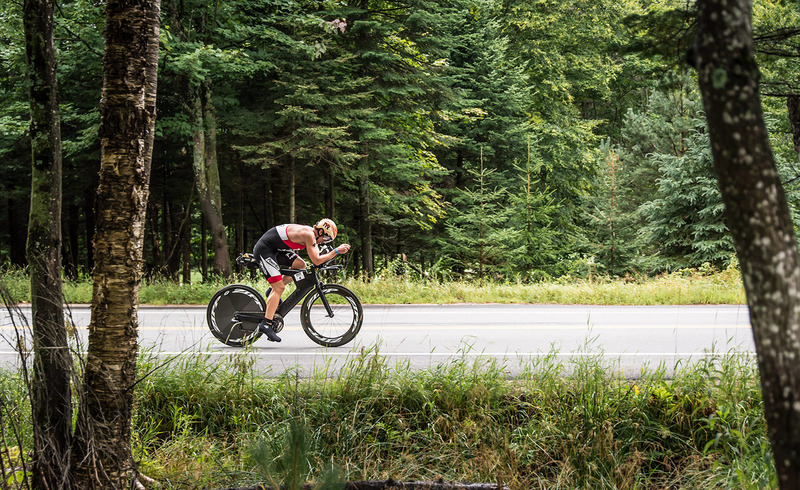 Ironman Mont Tremblant IMMT. Sign up day. Holy cow. 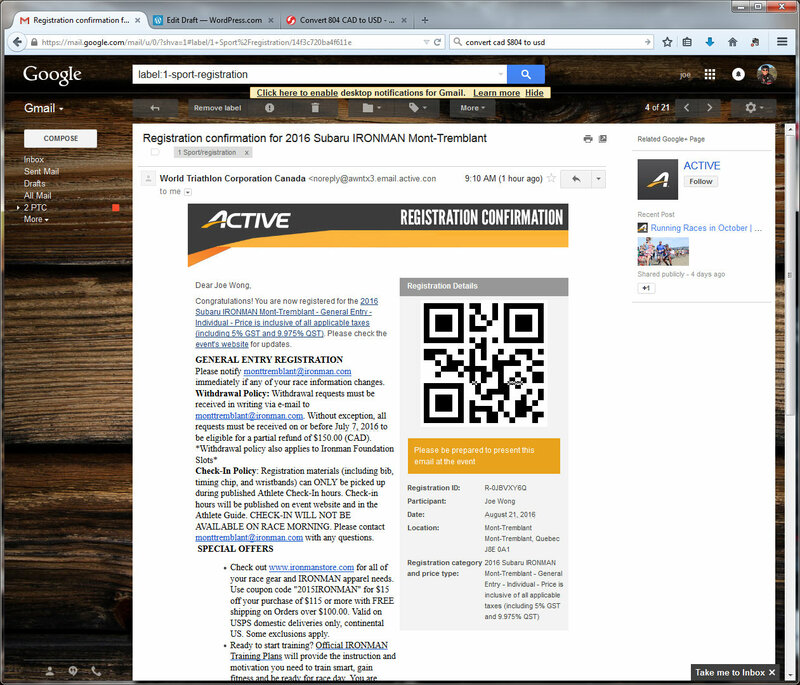 I pulled the trigger this morning (8/17/15) and signed up for Ironman Mont Tremblant. The race is on Sunday, August 21, 2016. 369 days from right now. I got a group text from Ben that online registration opened at 9am (PST). We’ve been talking about it for months now. We were all set to sign up. I’m in with my friends from Pasadena Tri Club: Lynda, Barry, Johnna, Bryan, Luis, Nicole, Trevor, Ben. For a bunch of us, it’s our first Full Ironman, including me. There may be a few more friends signing up later too. Cost: CAD$804. (~$619 USD) Since it’s near Quebec, it’s in Canadian Dollars. So, that was weird. Reminder: Better check the passport sooner or later. Feeling: Thrilled. Excited. Scared. Nervous. Excited again. Giggling in by cube by myself.